OUR MISSION is to be more than just another successful company. It is our goal, our passion, to help you open your life to the world of opportunity and possibility that is before you. OUR GOAL, as individuals and as a company, is to empower you to achieve your dreams as you live a healthy and prosperous life, and to help you make a difference in the lives of others through a lucrative business opportunity powered by a unique product and charitable initiatives. While the word “prosperity” evokes a variety of different definitions depending upon to whom you are speaking, the Trévo team considers prosperity to be a wholeness word that embodies completeness. Such completeness includes a balanced life of spiritual, emotional, physical and financial prosperity. TRÉVO’S FOUNDERS are Mark and Holli Stevens who have a proven track record of over 16 years as owners of a successful network marketing company. Mark and Holli have also been on the “other side of the table” as independent representatives, building organizations with tens of thousands of members. This dynamic duo also possess nearly four decades of combined business ownership expertise. 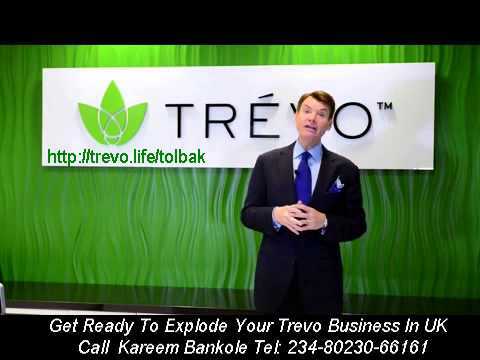 Ask Mark about the Trévo opportunity and you will hear the passion and excitement in his voice as he talks about people whose lives are being transformed by this opportunity.